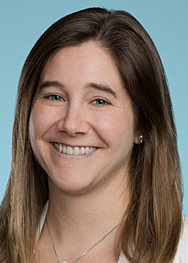 Last month, in KNF&T v. Muller (October 2013), the Massachusetts Superior Court found that a LinkedIn update regarding an employee’s new job was not a solicitation of business in violation of her non-competition agreement, which also prohibited solicitation. In that case, the court denied the former employer’s request for a preliminary injunction finding that the former employee’s LinkedIn update notifying more than 500 contacts about her new job, including contacts she established during her nearly 8 years with her former employer, was not a an impermissible solicitation. This was despite the fact that the First Circuit recently held in Corporate Technologies, Inc. v. Harnett (August 2013), that an email blast to former clients announcing an employee’s new position constituted solicitation in violation of an employee’s non-solicitation agreement. Notwithstanding the rapidly increasing use of social media, very few courts have addressed the issue of when the use of social media violates a non-solicitation provision. The case law that has addressed this issue over the past few years focuses on whether the former employee has proactively used social media to encourage former colleagues to come to work for, or encourage former clients to give business to, his or her new employer. which he accepted. ENS brought suit against Hypersonic for breach of their agreement. In determining that there was no unlawful solicitation, the Court of Appeals focused on the fact that the non-solicitation provision lacked a definition of the terms “solicit” and “induce.” Based on the commonly used definitions of these words, the court found that there was no violation because the employee had reached out to Hypersonic. The court further noted that should ENS have wanted to eliminate the possibility of such conduct, it should have provided a definition of “solicit” in future agreements that clearly specified the kind of activity it wanted to prohibit. In Invidia, LLC v. DiFonzo (October 2012), a popular hairdresser left her position with a salon to work for a competitor. The new salon posted on her Facebook page that she was coming to work for it, and the hairdresser became Facebook friends with eight of her former clients. The Superior Court of Massachusetts (October 2012) held that neither of these actions were solicitations in violation of the hairdresser’s agreement with her former salon and denied a motion for preliminary injunction because there was no evidence that she had actually encouraged her former clients to come to her new salon. Similarly, relying on Enhanced Network Solutions Group and Invidia, the United States District Court for the Eastern District of Oklahoma held that a former employee’s public posts on his personal Facebook page did not constitute solicitation of his former co-workers under the terms of his non-solicitation agreement with his former employer in Pre-Paid Legal Services, Inc. v. Cahill (February 2013). The court found that the former employer did not present evidence demonstrating that the former employee’s Facebook posts resulted in the departure of any of his former co-workers, or any evidence showing that the former employee was targeting his former co-workers by posting directly on their walls or through private messages. The former employee’s posts only touted his professional satisfaction with his new employer and their products. The court further noted that invitations sent to former co-workers to join Twitter were not solicitations under the agreement because the invitations did not request the co-workers to “follow” the former employee, they did not contain any information about the new employer, and they were sent by Twitter, not targeted email blasts by the former employee. Employers should be mindful of the implications of social media for the protection of their trade secrets and good will and may consider directly addressing the use of social media in their non-competition and non-solicitation agreements with their employees. And employees should not mistake this case law for a free license to promote their new employment on social media, as these cases are limited to their own discrete set of facts.